FEEL BETTER. WORK BETTER. BE BETTER. All too often we feel the physical strain of sitting hunched over a desk, staring at a computer all day, and stressing to meet deadlines. These instances can create a negative outlook and attitude about work and prompt us to simply stop trying. At Spa Flow we believe employees should feel motivated and empowered to do their best work each and every day, and be able to tackle their most complex challenges. Massage therapy has been proven to help manage anxiety and depression, as well as improve blood flow, boost immunity, and control blood pressure. Our onsite office chair massage services provide numerous benefits from increased productivity, physical wellness, and mental well-being. Just one chair massage can have a domino effect on your entire office, promoting a healthy, balanced and collaborative workplace inside and out. Through our personalized sessions, we’re confident in the healing and restorative properties our onsite office chair massages can provide. can be done just about anywhere for any occasion. Cost effective, simple, and impactful chair massage therapy practice to can make all the difference in your workplace’s productivity. Chair massage is truly effective! No company is too small or too large. Spa Flow works with you and your team to deliver the best results. Staff of 2 or 2,000…we are ready to help! Chair massage is a simple yet extremely effective solution to work related (mental and physical) stress. Studies show that the effects of massage therapy are felt within minutes—a sure-fire way to spike production and energy in the workplace. 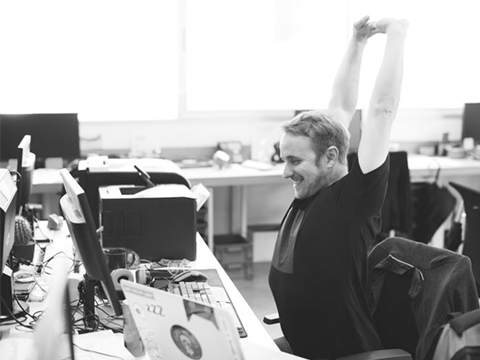 The brain feels recharged and sore muscles feel rejuvenated almost instantly, elevating employee morale faster. Spa Flow’s therapists are licensed, trusted, certified, and fully equipped to provide the ultimate care for you and your team. Our therapists work onsite with the flexibility to match your office’s needs. No matter the size of your workspace or quantity of employees on your team, our experts are ready to get your team on the path towards a healthier work environment. Parking fees will be added to locations when parking is not free or validated. All appointments include relaxation music, access to online scheduler and room aromatherapy. Discounted rates available for monthly/weekly appointments, multi-day events and events requiring 8 or more therapist. We also offer a 5% discount to non-profits and teacher appreciation events that are 3 or more hours long. Give us a call or fill out our Quote Request form. Based on your staff size, event duration, and budget we will give you options that will work best for your office. 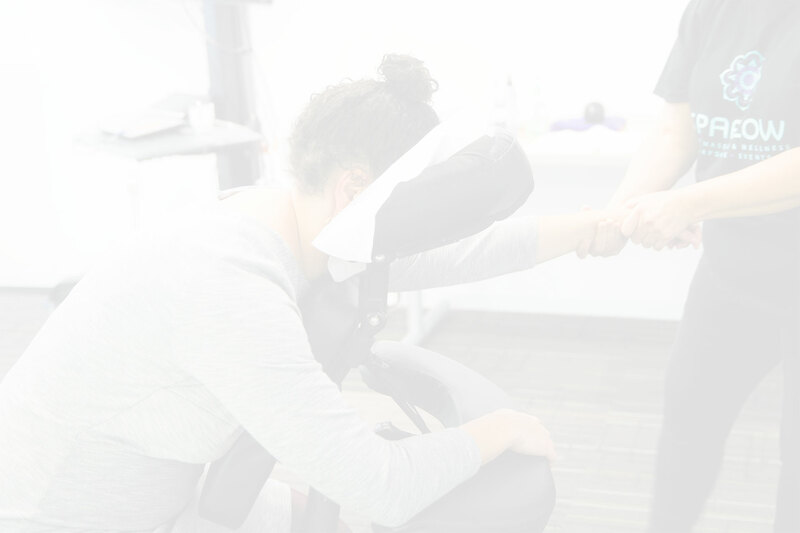 To make sure your on-site chair massage event runs smoothly, we can provide access to our custom online scheduler allowing your staff to easily sign-up for their appointment. On your appointment day, your therapist will arrive with all of their supplies. Your massage therapist can set up in an office, conference room or similar space. Each therapist will need about 5ft X 5ft of space to accommodate the massage chair. To enhance the chair massage experience your therapist will provide relaxation music and room aromatherapy (optional) during your wellness event. Prepare for the Ohhhhs, Ahhhhs, Thank You’s and a Happier Staff. We offer a variety of options to show your employees you care for their well-being. 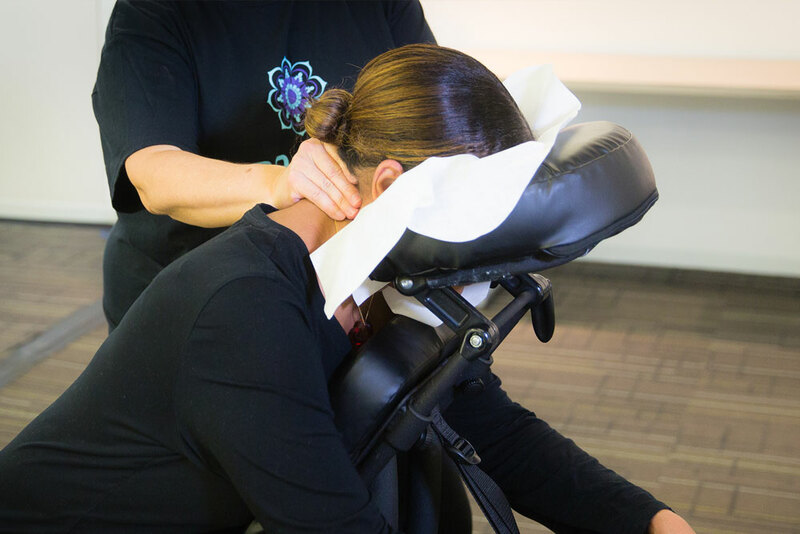 If you’re ready to feel the therapeutic remedies our massage specialists can provide, schedule a chair massage as a one-time employee appreciation event or a recurring scheduled treat! , Request a quote, check out our FAQ, or give us a call now.